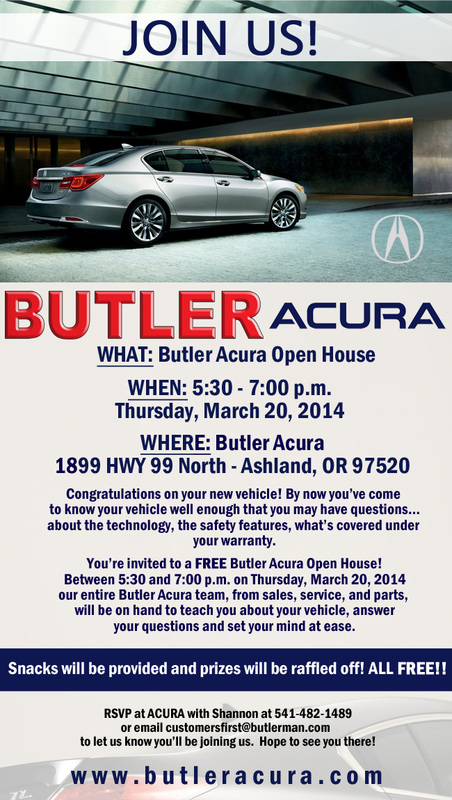 We’re just two weeks away from our first Acura Open House of 2014! You know the drill: food, friends, and all things Acura! Maybe you’re struggling to load your vehicle’s jukebox. Maybe you want to talk with a sales consultant about the impending production of the next generation Acura NSX. Maybe you just want to check in with your Butler friends while indulging in an ever-so delicious light dinner! Whatever the reason we love seeing you, even if it is just to shoot the breeze. So, let us hear from you! RSVP today!